I really really want this. 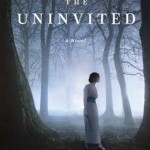 I love all kinds of retellings, and this is one I haven’t seen before. 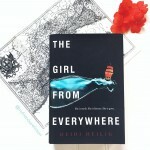 This book sounds so different because of the Eastern setting: it makes me very curious! 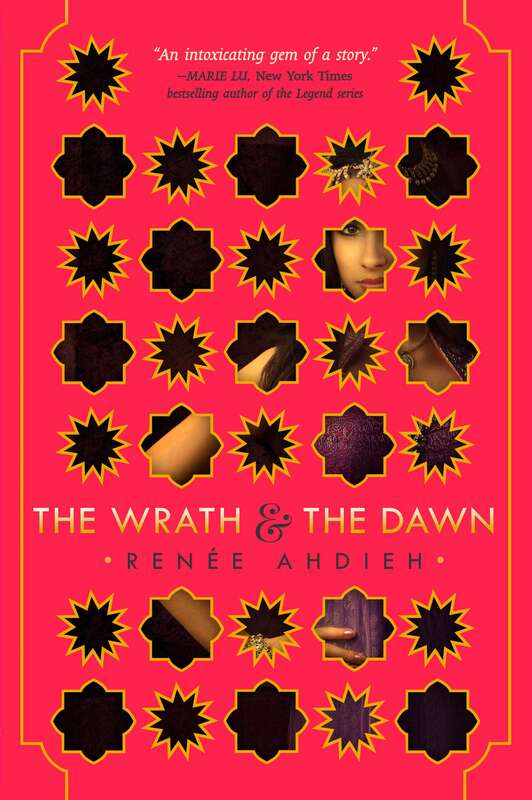 The Wrath and the Dawn is one of my most anticipated releases of 2015 and all because I absolutely adore A Thousand and One Nights. 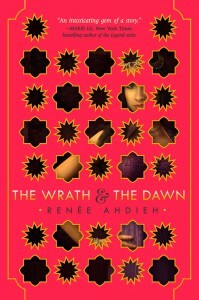 I’m so excited to read The Wrath and the Dawn because Renee seems like such a fun lady, and the book itself sounds like a Middle Eastern version of Marie Rutkoski’s Winner’s Trilogy due to its lush writing! I’m also really excited to read a book set in the Middle East, and I think it will be fun to be transported somewhere I’ve never been before. I’m so looking forward to The Wrath and the Dawn! The Wrath and The Dawn sounds amazing! Thanks for the interview and for the chance to win! I have yet to read a Scheherazade retelling, so I’m very much looking forward to this one. This sounds so unique and has a gorgeous cover! Thanks for the chance to win. Thanks for this giveaway!! This book sounds so interesting! I’m excited about the Middle Eastern setting/mythology. I worked in the region so I have a big interest in it. I’m also excited to meet this strong heroine! This sounds wonderful! Fingers crossed! the reviews are great so im super excited to read it! I am CRAZY about folklore inspired books, and honestly, this one looks like the perfect way to kick off my sunny-weather summer reading. Can’t wait to read! I can’t wait to read this book because I have heard such great things about it! I want to know why the brides die every night. Ooooh I was already so excited about this book but NOW?? Now I’m dying to get to read it, but since I want to get a signed copy from Malaprops… it’s gonna be a lil bit of a longer wait, but I’m sure it’s gonna be very much worth the wait! Fantastic interview Kristen and Renee! I think this one just sounds soooo good! I don’t think I ever read the original tale, but I might have read similar ones. Something like the Storyteller’s Daughter maybe? Where she tries to prolong her life after others had failed? I know I know of that story though! LO!L Thanks for the giveaway!! Because I enjoy reading fairytale/folk tale retellings. Thanks for having the giveaway. I love retellings, and I don’t think I’ve ever read one of A Thousand and One Nights. Also, we need diverse books! I’m definitely most excited about the setting for this novel – I can’t think of a single book I’ve read that’s had Middle Eastern aspects or settings, so it’ll definitely be widening my reading horizons. I am so so so excited for this book!! I grew up reading Shadow Spinner, which is another retelling of Sharazad and it’s ALWAYS been a top favourite book of mine, even now. so seeing the original tale retold again freshly?!! *flails and grabs for this marvellous book* I loved the interview and such good questions. x) This is definitely on my to-buy list!! I want to see if it is as good as I hear it is! I read parts of A Thousand and One Nights for school and really enjoyed, and my interest is always peaked when I see retellings or books inspired by other ones, so I knew I had to keep my eye on this one! I’m especially excited for the mixture of romance and fantasy. I love how this seems to be a fabulous mix of the two, and I can’t wait to read this book. I love re-tellings and I’ve read a lot of positive reviews for TWaTD. Great review! My favorite part is when you asked Renee which between the character and the storyline comes first when writing her novel. I am familiar with the story of “One thousand nights” and I would love to read this retelling! Thank you for the giveaway! 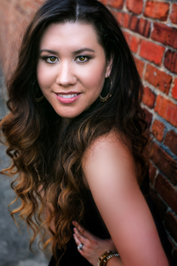 The strong female lead! And the setting is unlike any I’ve ever read before! I can’t wait to read this book! It sounds so interesting and unique. I love retellings! I absolutely love retellings! I can’t wait to read this one! EVERYTHING about it is just so brilliant! I NEED THIS!! I read an excerpt and hte writing is beautiful and I NEED TO KNOW WHAT HAPPENS NEXT! For me, just the fact that the book is inspired by A Thousand and One Nights is enough to get me excited. Also, that cover is absolutely gorgeous! Great interview! Because I love retellings and this one sounds pretty intriguing so I’m looking forward to reading it. Thanks for the chance! Nice interview! I heard this was a thousand nights retelling! I’m really excited to see how the authors writes about it! IT IS A THOUSAND ARABIAN NIGHTS RETELLING!!! AND IT HAS DIVERSITY! AND BOTH ARE KIND OF RARE BUT RIGHT UP MY ALLEY! This answer was totally deserving of the caps. Thanks for the chance to win! I’m most excited to find out what makes her fall in love with a killer. This will be the perfect gift for my wife. The heroine! She sounds amazing! Wow this book sounds amazing… I’m so excited to see how the classical story of the Arabian nights is woven into a YA interpretation… Plus the romance sounds great 😉 thanks for the giveaway!! It seems like it is a hint of the story of Esther in the Bible and Crimson Bound, and I love them both, so I think I will really enjoy this as well. It’s a toss up for what I’m most excited about — the re-telling part, or the diversity! The hype for this seems warranted and I can’t wait to read it! I’m excited about this book because of its setting and its reference to One Thousand and One Nights. EVERYTHING!! This book is absolutely on the top of my list! Thank you for the giveaway!